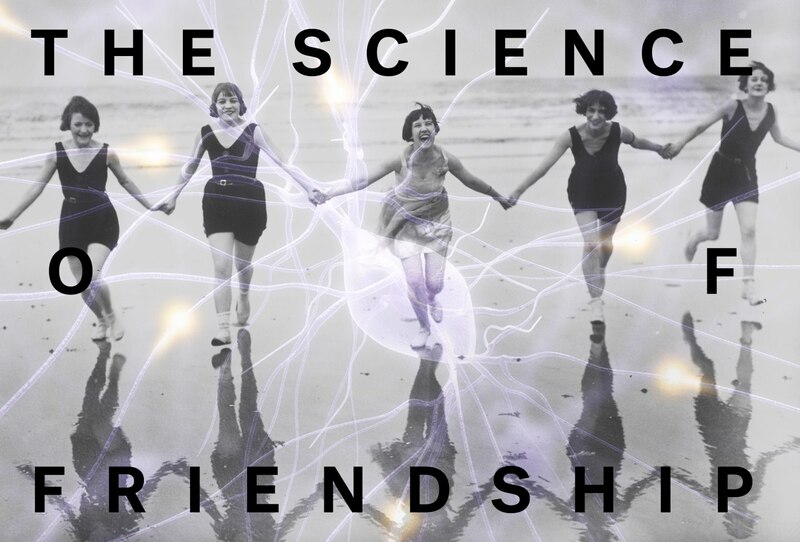 An evolutionary biologist explains the real, sciencey reason we yearn for friendship. Friends are important. So important, in fact, that it’s been proven that friendship can extend life expectancy and lower chances of heart disease. Friendship helps us survive. Part of why that is has to do with what happens in our brains when we interact with other humans: a 2011 study detailed the role of the neurobiological endogenous opioid system (the stuff in our brains that make us feel good) in positive social relationships; in 2016, researchers found evidence of the release of oxytocin in primate brains during social interactions; and later that year, psychologists conducted a study that suggested levels of pain tolerance can predict how many friends someone has. Friendship ignites the part of the brain that makes us feel good, which makes us want to keep hanging out with our friends. But it’s still not quite clear why. “There are a lot of things we don’t know,” Dr. Lauren Brent, an evolutionary biologist and professor at University of Exeter, told me when we spoke on the phone in February. “Friendship was long considered a soft topic, which is a shame considering how important friendship is to all of our lives.” But what we do know about all those happy brain chemicals, in both humans and monkeys, can inform evolutionary hypotheses. Dr. Brent explained the deeper, historical, evolutionary reasons we (probably) make friends. DR. LAUREN BRENT: You can quantify how important friendship is by, say, recording how much time each of us spends talking to, interacting with, or thinking about our friends, or how much pain people feel when they lose a friend or get in a fight with a friend. One of the ways to get at the question of why we make friends is to look at the brain. In people and other animals that have friends, we know that all those nice, lovely chemicals like dopamine, serotonin, and oxytocin are involved. The best hypothesis as to why that might be is because they motivate us to act in a friendly way. If interacting with friends feels good, if it relieves stress, and releases dopamine, it motivates you to do that behavior another time. It sounds calculating and weird to talk about people that way, but it’s true! The chemicals in our brains make us behave in certain ways, and some of those are ingrained in us in evolutionary terms — because it happens in animals too — to make us do the things that are good for us. If being social is something you’re supposed to do as a human because it benefits you, then the first point of call is always going to be your family — if they do well, then your genes do well, too. But people and lots of other animals live in big groups where they’re surrounded by not only their family but non-family members. Because we see [friendship] happening in little groups of monkeys, where they form relationships with non-family members, that suggests it’s a pattern that isn’t removed from our evolutionary past. It’s not just some weird thing of modern human life. It’s an evolutionary puzzle. You invest time, energy, and real goods like money or stuff that you own that you share. Why in the world would you do that with someone you’re not related to? There must be some way you get a return on your investment. How exactly is the big question mark over the scientific study of friendship. We don’t know exactly — especially if we want to go back in time to early humans and how they were benefitting from friendship. We can guess: when you get in a fight, maybe your friend comes and supports you and makes it less likely that you get fatally injured, or you might want to be friends with the woman who knows where all the best berry patches are, because she’d take you there or come back with lots of food and share with you. If you put somebody in a room and make them do some horrible task like public speaking and their friend is there, their heart rate doesn’t go up as much. That signals that your friends are getting you something if their presence in the room is comforting. I’ve moved around quite a bit, being an academic, and have always felt that when I move to a new town, even after I’m settled with a place to live and started my job, until I’ve made some friends and have those people I can call on — like, if I’ve lost my keys — I feel a baseline level of stress is always there. I turn to long-distance friends for certain things, like if I got dumped, or if my cat died. Friends abroad are awesome, but they can’t possibly do anything about the day-to-day stuff. It’s fun, as modern people, to think about friendship, because our lives are so weird, and we do move abroad and live away from family. High school is like a training ground for the fact that you’re about to leave your family, go off to college or start a job, maybe live in your own place, and suddenly you’re surrounded by strangers, and you really need friends to play some of those family roles. You go into a friendship frenzy during that time because you need to reestablish relationships you’ve lost because your social situation has changed so much. It could also be because you’re broadening your social circle because you want to have a [romantic] partner, a job, and find out all the cool information about like, what club to go to, what restaurant’s good, all that. 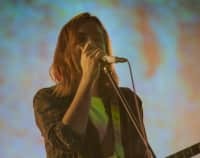 You’re trying to establish social roots [during] a moment in time when all of that is incredibly important, and when you don’t really have any of it. The role that friends play becomes really obvious. Like, I need these people to feel part of this society, to feel I can make my own way and cope with even small challenges, like having the flu.